Amazon India Announces The New Fire TV Stick 4K & The All New Alexa Voice Remote Supporting TV controls. 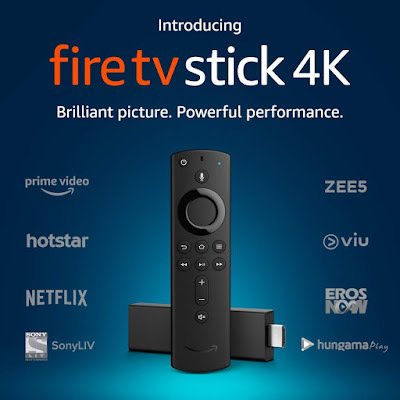 Yesterday Amazon India announced its new Fire TV Stick 4K in India as a successor to the 2nd Generation Fire TV Stick. This new Fire TV Stick 4K comes with an all-new Alexa Voice Remote with dedicated voice controls buttons which were found to be missing on the earlier generation remote. The entire bundle is available for the price of Rs.5,999. However, if you wish to buy the new Alexa Remote, it's available for Rs.1,999 as it is backwards compatible with the 2nd Gen Fire TV Stick. 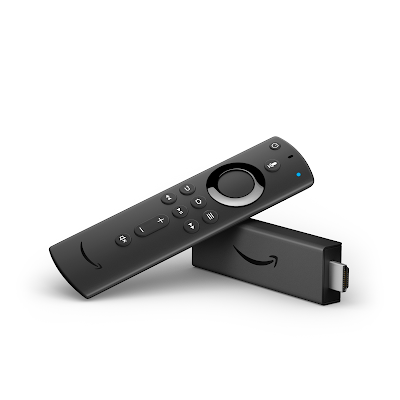 The new Fire TV Stick 4K is the first streaming stick from Amazon to support Dolby Vision and HDR10+ for achieving the optimum viewing experience. The new Alexa Voice Remote now houses a dedicated Volume, Power and Mute buttons with which you can now easily control your TV. Fire Stick 4K comes with a quad-core processor which is clocked at 1.7GHz which in turn delivers faster loading times and provides a good streaming experience. There are also a vast number of 4K titles including 4K Ultra HD, Dolby Vision & HDR+ supported content. Just say, "Alexa show me 4K TV shows". The users can also experience 3D surround sound with the compatible home theatre equipment systems. Mr Marc Whitten, VP - Amazon Fire TV said, “We’ve listened to our customers and pushed to deliver a higher performance Fire TV. The new quad-core processor delivers a fast and fluid experience, and support for Dolby Vision and HDR10+ provides an amazing picture quality,” He then added, “It is a complete 4K solution our customers are looking for, all within a compact stick form factor. The team invented an entirely new antenna technology & combined that with a powerful 802.11ac Wi-Fi to optimize for the best possible 4K UHD streaming experience, even in congested network environments. Plus, the all-new Alexa Voice Remote lets you control your complete entertainment experience & use your voice to find the content you want quickly. Just say, ‘Alexa, find comedies’, or ‘Alexa, play The Grand Tour’. Not to forget about the thousands of apps and Alexa Skills catered for the Fire Stick and Alexa Remote. Same goes for the vast amount of content which includes new and upcoming movies and TV episodes present on Prime Video, Netflix, Hotstar and others. Users can even get the glimpse of their social media channels with the supported FireFox or the preloaded Silk Browser. Not to mention the swift workaround to access the YouTube content. The users can also enjoy listening to their favourite music via several apps such as Amazon Prime Music, Saavn and TuneIn. Finding anything on the Fire TV Stick 4K now becomes much easier with the help of the new Alexa Remote. Users can press and hold the microphone button to search Movies, TV shows, Apps, check sports scores and even order food, book a cab, view live camera feeds, control your smart home - all thanks to the Alexa integration in the Fire TV Stick. Users also have the novelty to enable the Far Field Voice control on their Fire TV Stick 4K with the help of their existing Echo devices. Now imagine integrating the recently announced Echo Plus and Echo Subdevices, that'll be like bringing a party to your home. Integration of Echo devices also translates to the fact that the user can now watch and enjoy movies & songs without even touching the Remote. 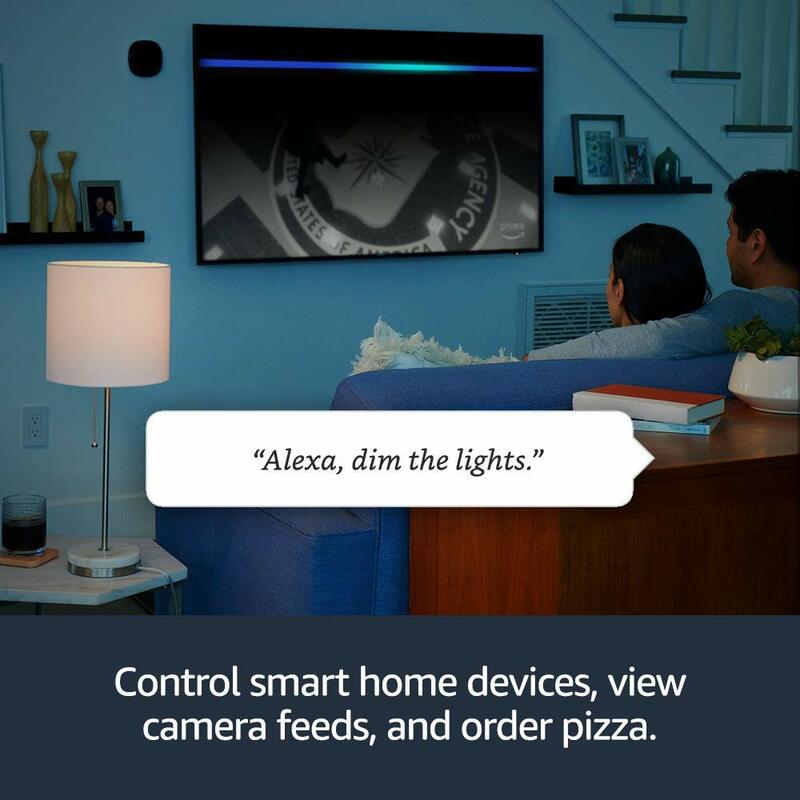 Just say, "Alexa, play ******* on my Fire TV." 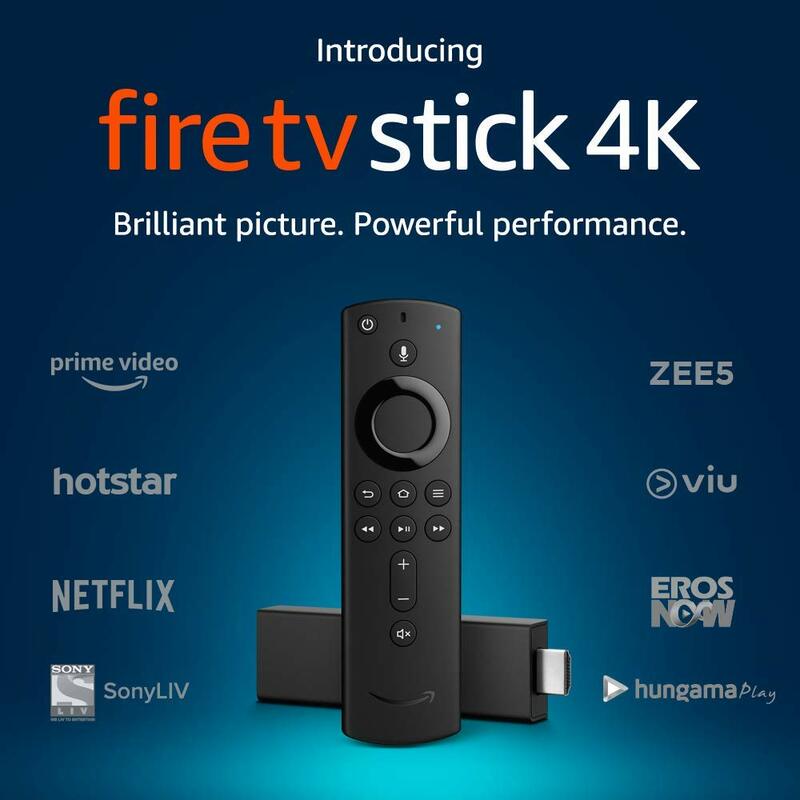 The new Fire Stick 4K is available for pre-order on Amazon India at a price of Rs.5,999 including the new Alexa Remote. While the standalone Alexa Remote costs about Rs.1,999 only. Both of these devices will start shipping from starting November 14. All the existing Fire TV devices in India will soon receive a software update starting from 14th November which will enable Alexa support on Fire TV which includes the Far Field Control support as well.